Rinetta Gan is the Princess of Hynestia in Justina Ireland’s book Lando’s Luck. 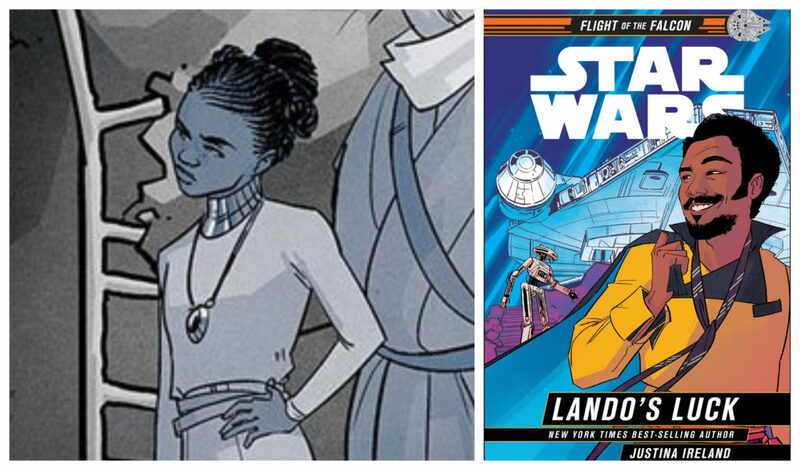 Thanks to some amazing illustrations from Annie Wu that are included in Lando’s Luck readers can see images of both Rinetta and other new characters Ireland introduces to the Star Wars universe. 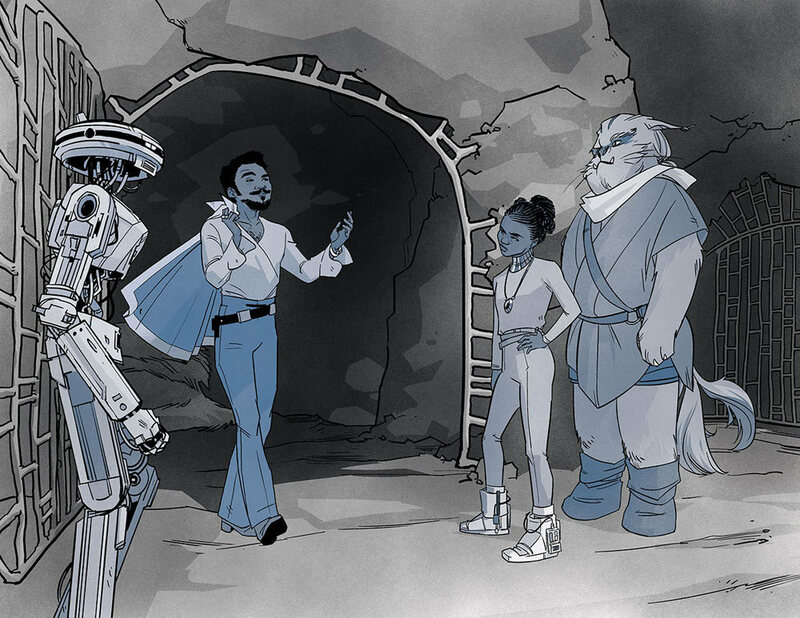 L3-37, Lando Calrissian, Rinetta Gan, and Zel Gris (an advisor to Gan) from Lando’s Luck. Art by Annie Wu.